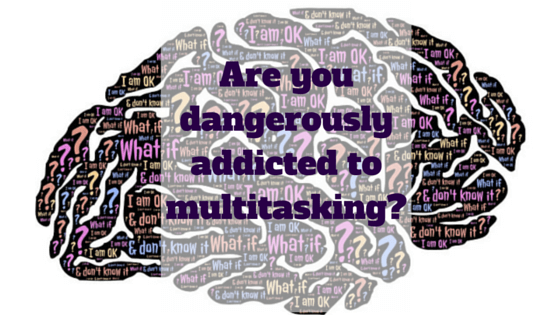 Are you Dangerously Addicted to Multi-Tasking? Our brains are more hyperactive than ever before. So fast is the speed at which we are demanded to operate that we start doubling up our focus; brushing teeth whilst answering emails, driving the kids to school whilst on a conference call, reading the news whilst on a cross trainer, thinking about strategies whilst eating dinner, the list goes on. It’s exhausting and often pointless; huge amounts of the information we take in on a day to day basis is of absolutely no use whatsoever. Effectively, our heads are filling up like trash cans. In an article titled “Why the Modern World is bad for the brain”, published in The Guardian last January, Daniel J Levitin rightly pointed out that “Thirty years ago, travel agents made our airline and rail reservations, salespeople helped us find what we were looking for in shops, and professional typists or secretaries helped busy people with their correspondence. Now we do most of those things ourselves.” It might sound like a nostalgic, middle-aged longing for an analogue age, but he has a point. Instead of helping us to better manage our lives, technology has actually made it necessary to do more, which would be fine if it had also lengthened our day time, but since it hasn’t and is unlikely to ever perform that feat of science, we’re all stuck running around like headless chickens. I don’t need to emphasise out how bad that is for business. What’s more all this multitasking, it seems, is actually making us more stupid. MIT neuroscientist Earl Miller insists that our brains are “not wired to multitask well… When people think they’re multitasking, they’re actually just switching from one task to another very rapidly. And every time they do, there’s a cognitive cost in doing so.” Every time we complete a task we get hit with a dopamine high (the hormone that makes you feel like you’re conquering the world), which feels so good that the brain starts searching for fast-track routes to gratification. Enter multitasking. At the same time though, multitasking creates chaos with our concentration, making it more difficult to organise thoughts and filter out irrelevant information. As the brain struggles to get a grip it actually slows down and starts being less productive. In fact, a study at the University of London found that participants who multitasked during cognitive tasks experienced significant IQ score declines that were similar to what you’d expect if the individuals had been smoking marijuana or not sleeping. Adding to the brain scramble, is the stress of increased decision making that comes with multitasking. Should I reply to that email now, but what about that query from last week? How important is this report? The questions go on. So where does that leave us? Indecisive, less intelligent, restless and disorganised. Not exactly the shining workforce that’s required for success. 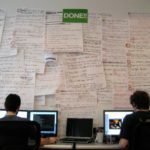 Unfortunately, there’s not much we can do about the barrage of information we’re confronted with (it’s an important part of life now, and business), but what we can do is start prioritising our to-do list and learn to let go of the less important things. The sifting process does take time and patience, which aren’t things business leaders often possess, but we shouldn’t be afraid to admit that we can’t keep up and ask for help when we need it. Returning to Levitin’s appeal for a return to the good old days, it seems assistance is pretty much the only thing that’s going to prevent us from imploding, but it doesn’t have to be old fashioned (typing pools and spectacles) or expensive. The world of technology has brought at least some wonders with it, namely: the virtual assistant. Like a traditional PA, the primary role of a VA is to relieve you of stress and enhance your productivity, but the major plus side is that they work remotely when you need them. 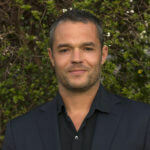 It’s a bit like having a hotline or a quiet, invisible work-force that keeps you at the top of your game. Assistants literally unburden you by taking away all the niggly tasks that eat up your time and sanity, providing you with more clarity to focus on what actually needs to be done, right now. The really great PAs even take away the decision making by understanding what’s important to you and your business and bringing things to your attention at exactly the right moment. It’s about a professional partnership (not a dictatorship) and when business gets lonely, which it often does, it’s nice to have someone in the thick of it with you. There is a way out from this mania. We just need to start delegating.